(CNS): The bad publicity generated after three senior UK officers were pictured enjoying themselves on the beach in Cayman during a working visit last week has stirred up concerns in the UK about British officers being sent here to assist the RCIPs. Reports in the local press have revealed that regional politicians and activists groups are not happy that officers from the northwest of England are being sent to the Caribbean when there are so many cuts and shortages of police in their own communities. Police commissioner David Baines has also raised concerns that the story in the Daily Mail will deter police forces from sending help to Cayman in the future. The extensive negative coverage in the UK press this weekend regarding the five day visit by Merseyside’s Chief Constable Jon Murphy Det Chief Supt Brian McNeill, an official with ACPO, and Det Chief Supt Tony Doherty, the head of Merseyside’s Matrix squad, where the three were photographed apparently enjoying considerable downtime during the short trip has stirred up concerns in other quarters. 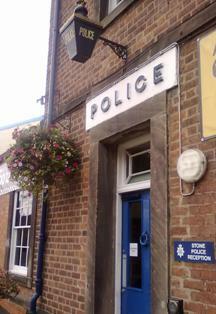 In the Cayman police commissioner’s own native county of Lancashire where a large percentage of the 20 officers being sent to support the RCIPS are coming from, one local councillor there has question how, when police stations in rural areas are facing closure as a result of staff cuts, the county can afford to send officers to Cayman. The Cayman government is paying for the officers who have been seconded to the RCIPS but the Lancashire politician said cover will still need to be found for the police going out to the Caribbean. Baines also noted in the wake of the Daily Mail coverage that thebad publicity could impact the Cayman Islands ability to secure help in the future from the UK. However, the police commissioner defended the visiting senior officers and accused the UK tabloid of twisting the circumstances about what should have been a positive story about the UK police helping an overseas territory and detracted from all the hard work that was done. “If you come to the Cayman Islands famed for its sun, its sand and its sea, when he wasn’t at appointments I’m not surprised he took advantage of those,” Bainessaid in about Jon Murphy, on Monday. He wondered if people really expected him to sit in his room while waiting for his next appointment. “What should have been a very positive story for Britain in sending assistance and expertise to a UK overseas territory and doing it very well, has turned into a direct and deliberate attempt by the Daily Mail to undermine the efforts of those three officers,” he said as he raised concerns about the long term implications of the bad publicity in the future. Is it just me or is Baines starting to sound a little bit like Mac? Claiming the media are twisting a story sounds very familiar. Its a bit late for Baines to be concerned – maybe he should have made them work when they were here instead of living it up on the beach at our expense – I dont think there were any gangs or criminals to be found on our seven mile beach or out in Baines boat (maybe there were though) LOL. This is the problem the "white" folk from the UK come here and live it up why were they given preferential treatment – they should have hit the road running and working the local haunts so they would have been able to give a proper briefing to the officers being sent here to work (or maybe they were going to be playing too on seven mile beach. Thank you to the UK press for revealing this. His day should have been full full FULL of appointments!! Make full good use of his very expensive trip to Cayman. More whining but no results. "Baines also noted in the wake of the Daily Mail coverage that the bad publicity could impact the Cayman Islands ability to secure help in the future from the UK." This is one of the few times I agree with Baines. Dave, you should have kept your dogs on a leash. There were only here five minutes. Whay not just spend a few days working 9-5 and then eating at Wendys to avoid any of this sort of criticism at all.? I cannot belive that people with this little judgement should be in charge of anything, never mind a UK police service. The activist groups in the UK are right to object, but the point here is that he should have kept the good cops, not bowed to the usual BS and pressure. Hmmmm – instead of all of that "down time" they had "between appointments" that was funded by the CAYMANIAN PEOPLE – perhaps they could have been – oh I dunno – WORKING? How about a tour of Northward's Maximum Security wing to see where the gang leaders are housed? Or of Eagle House – which houses some of their new recruits? How about visits to the murder scenes and to known areas of drug and gang activity and neighbourhoods home to many of the "at-risk youth" and gang members – like Goat Yard, Birch Tree Hill, Rock Hole, Scranton, Harlem, Swamp, Dog City etc. etc. How about meetings with Court staff who see these offenders over and over again? Or perhaps meetings with drug counsellors and probation officers – who know who the youngsters are who are getting recruited? And who understand the root causes of the problem. How about a tour of the high schools – so they can see if there is any gang activity there – e.g. graffiti etc. How about a crash immersion course in local youth culture, jargon, symbols, dress etc. How about some education on how BBM and Facebook are used to transmit orders, messages and intimidation? How about a programme that would have allowed them to LEARN about the situation of our Islands rather than one that gave them a nice all-expense paid 'jolly' on the beach? If I can come up with this – surely our 'TOP COP' could have figured out a similar itinerary? SOS: Please do not send your cops down INSTEAD Take us up WE HATE IT HERE…GOV dont even HELP US CAYMANIANS!!!!!! HELP we are getting abused by the Premier, Government and Police we need The Queen to take out all of these People sitting in their High Horses and REPLACE THEM! We Need Jobs, we need food to eat why cant we survive in our own country! They're all using us! Given that you have internet access, Idoubt you are struggling to find food, because getting food would be important to you than blogging. No-one is starving Cayman. Yeh…dey hungry but have internet…..for real!! You think ? Now can we have real police from the US who know how to deal with these gangs that can infiltrate and not stand out like British accent you know old chap ? Then why did the UK cops not keep a much lower profile whilst the press were here? Why were they invited outon the boat? Did it not appear obvious that the UK gutter press would be baying for a story of "UK cops sent overseas to sun themselves whilst the UK burns" type story? Seems to be a poor judgement on behalf of the cops IMHO. Here it is.s. THE WORLD DOES READ THE NEWS. So Mr.Baines along with the violent crime reported and the statment that are made about supressing burdens of proof – we are looking like a banna republic daily. It is strange how the Officers from the states when they arrived with the Malinois that searched for the lady at the dump, (which the case has not been reported to the public as solved, so another mystery that the RCIP have yet to crack) no one had pictures and timetables of them on the beach and in bars. Maybe it is that they were working and if they did go swimming it was not new worthy. You cannot justify a 1/2 off with three Officers here for such a short time. I cannot see an real explaination that is sellable. They were not here on a DOT mission but a Police one so the fact that is it on natural that they enjoy the sights is rubbish. We are in a crisis and if there was time for that how much help could they really have given. It looked like another road show the RCIP out on not long ago. Baines Sir, it should deter those who come here to have a vacation, big pay from taxpayers, and spy on us for colonial reasons and hidden agendas, instead of fighting crime. I still am waiting to see crime reduced in the Cayman Islands by their constant visitations and talks. It would help immensely if the schedule of the visiting officers was released, as it would shine some clarity on what they were doing, the value of the money that the Caymanian people paid to have them here, and possibly flip the tide of negative publicity. I would also say that if the schedule was such that they had hours between meetings, then whoever was responsible for getting the most value for our money is sadly lacking in their abilities.